I used to replay my day before falling to sleep. Every comment said, by myself and others. Every mistake made, actual and assumed and I would choose this self-punishment over rest. I would get up the next day, tired, defeated, frustrated and determined to get it right. I had some good days. Days where everything went right. Silent pats on my back for a job well done, crises averted by my careful words and expert planning. This perfectionist attitude was taking over my mind. The small fox destroys the vine. Let me tell you, those small foxes are tricky. They seem small, insignificant, and harmless but they are extremely damaging and life-threatening. Small foxes can destroy dreams, destroyed dreams cannot manifest into destiny. So here are things I do to battle the perfectionist mindset. 1. Tell on myself- My husband is confident, funny, and honest. I trust him. So wither I say something that comes off too flirty or too cold I can tell him. He usually responds by teasing me and making me laugh. Sometimes I have to go back and apologize to a person I may have offended, but it helps to have someone I can be honest about myself with. I have learned that my greatest gift can also get me into trouble and that is my way with words. I have to totally rely on God to keep me in check. 4. Take the risk – If my only concern in failure I must take the risk. In the parable of the talents, a master was leaving his home to travel. He gave talents to each of three servants according to their abilities. One man invested and doubled his money, another also was able to double what he was given. The third man hid his talent. He made no profit so it was taken away. (Matthew 25:14-30). It was the man who was too afraid to act who was punished. Inaction is worse than failure. I hope these tips help you on the journey of self-care. Life can get hard so we must be our advocates for health and mental wellness. If this blessed you. Be sure to like, share, and follow. Don’t forget to subscribe. I love teaching, I love homeschooling and I love Jesus! So of course when I heard about the opportunity to be a seminar speaker for The Great Homeschooling Conventions I had to apply. Well, my application for an Emotional Intelligence for Teens workshop was accepted and I will be teaching on March 17, 2018, at The Great Homeschooling Convention in Texas! I am so excited, and this has really kicked some of my goals into high gear. One of them being completing my latest book on Emotional Intelligence. Just a few weeks ago I was at My Own Kind Of Beautiful‘s vision board party and now I am watching my dreams unfold. I have launched a t-shirt campaign to cover travel expenses and the feedback has been great. You can get your Melanin Taught shirt or hoodies here. We even have kids sizes available. If you have ideas for sayings for shirts we should put in our store please leave it in the comments below. Thank you all so much for your support. It truly means the world to me. Happy New Year!!!!!! This year I am committed to being intentional about maximizing and increasing our monthly income. I started looking for deals in December 2017 and I came across some really cool ones. Ebates – You have probably seen the commercials I am here to tell you it is legit. Ebates is an easy way to get cash back. Sign up, open a “shopping trip” on their site and purchase what you want. It usually takes a business day for you to see your cash back. The cool thing is they pay out monthly automatically and it goes to your PayPal account. When getting cash back you only get a few dollars or cents at a time but it adds up. For larger purchases, it is a must. Did I mention you can use it on Amazon?! If you aren’t on Ebates up here. DOSH – This is a cash back app that allows you to connect your credit card then get a percentage of your purchase back when buying from their listed retailers. I like this because you don’t have to do anything but use your registered card. Dosh ran an amazing promo at the end of 2017. I joined the promo late but was able to make over $100 over the course of a few days. They pay out via PayPal which I always like but it does take 3-5 business days to process. It’s just like Ebates but you’re rewarded for both in person and online orders. Click here to sign up. Ohm – We all need and use electricity right? Wouldn’t it be awesome if to save money on your electric bill and get cash for using less energy? Ohm lets you do just that. This program is in California only and you MUST have an online account with your electric company. Ohm connects to your Smart Meter and sends you text alerts so you can power down during peak hours. By powering down you get points which convert into dollars. Its good for your pocket and the environment. See if it is available in your county by clicking here. Budget Book- This may seem simple but its something that can change your finances. Write it down. Micheals has a cute budget book that helps you keep track of every dime you spend. I love planners! This one is great for my home planner. It’s also really inexpensive so get a few to use throughout the year. Challenge Yourself – Have you heard of the nickel challenge? Maybe the nickel or quarter challenge? Basically, you take a box, large bottle, piggy bank ect and put every nickle, dime, or quarter in that box. Don’t open it until the end of the year. I hope these 5 tips help. 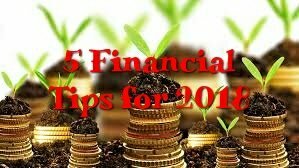 What are your financial goals in 2018? 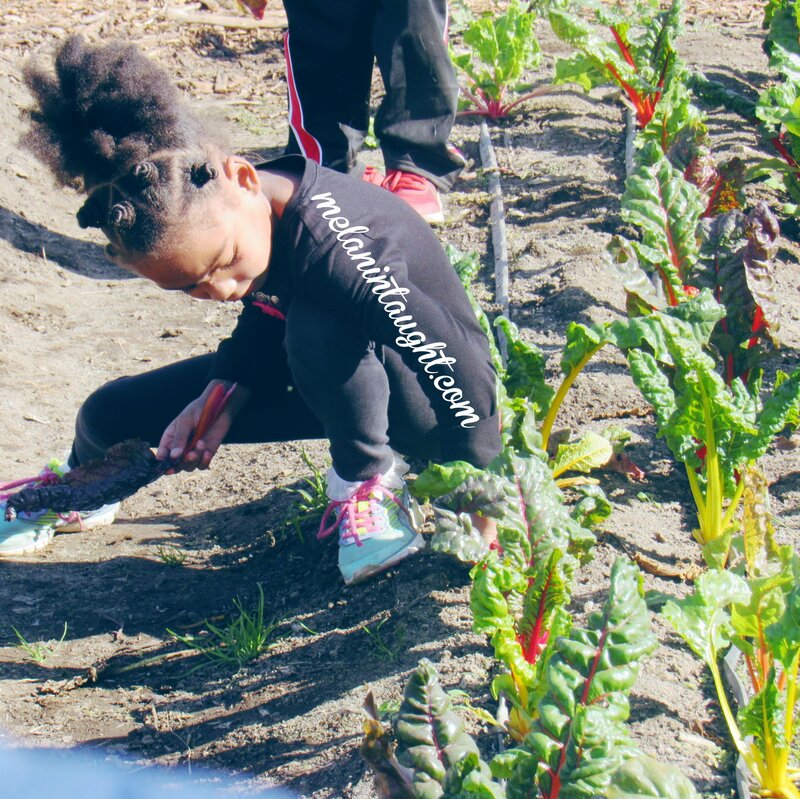 This month we took a field trip to Amy’s farm in Ontario, CA. At first sight, I was unsure whether to drive in or park outside. I took a chance unsure and drove in. With cows on either side of me, I pulled right into a small parking lot. As we looked around for a few minutes we were met by Farmer Stephanie our tour guide for the day. She gave us the ground rules, then we headed for the garden. This garden is the stuff dreams are made of! 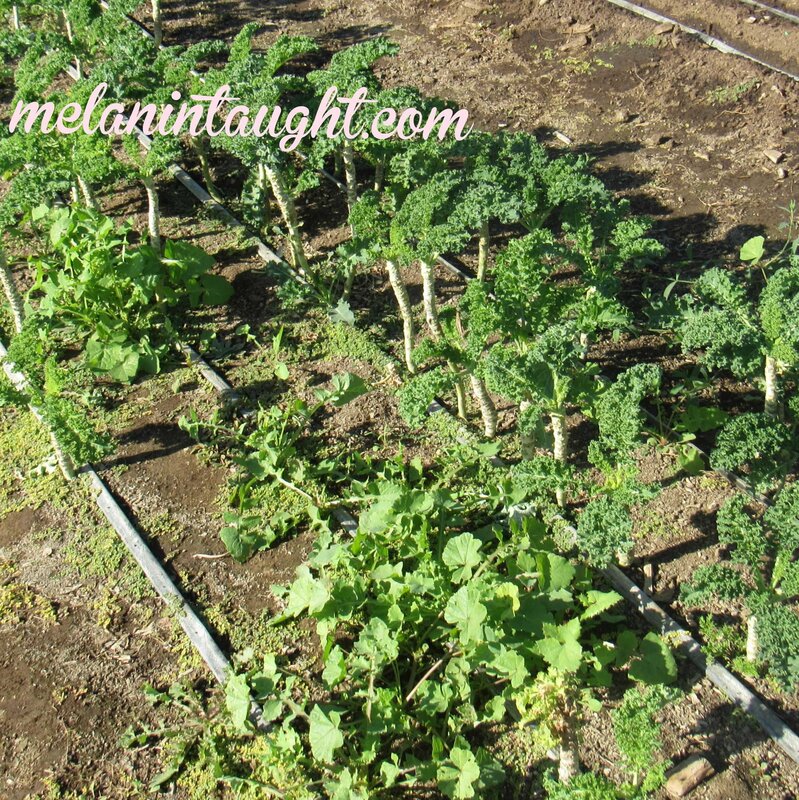 I aspire to have a garden this fruitful one day and seeing this really encouraged me to keep trying to grow my family food. Look at this beautiful kale! The kids got to pick a leafy snack for the piglets. 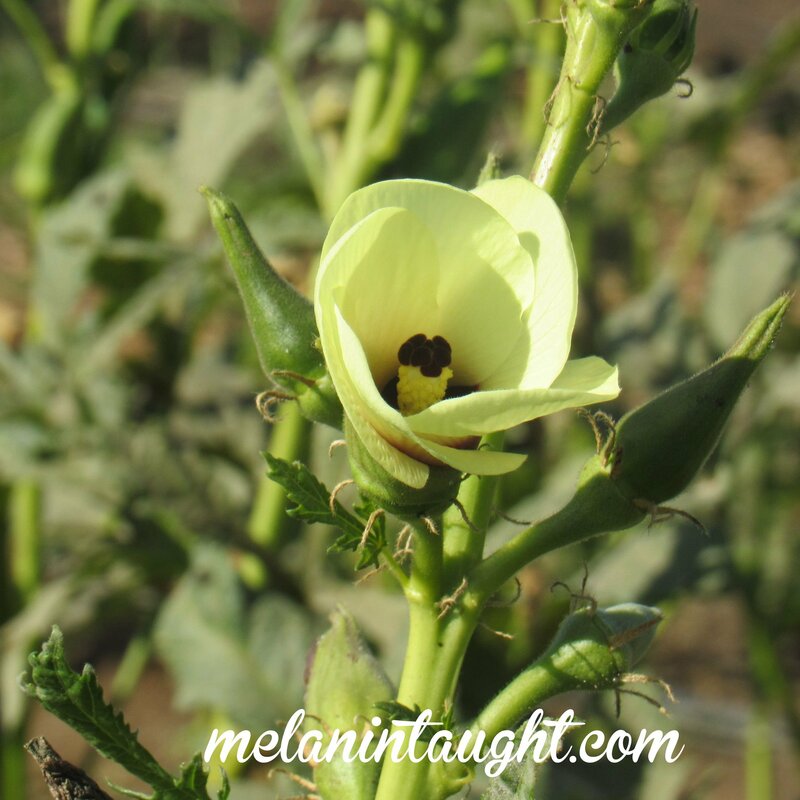 Until now I didn’t know okra flowers were so beautiful. 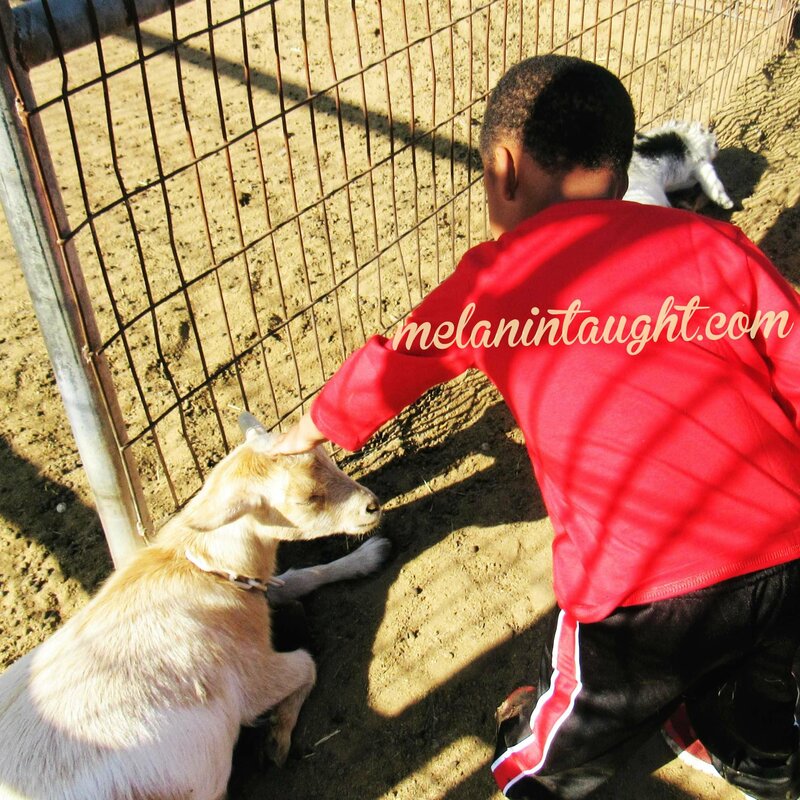 Once we left the garden we went to feed the piglets and see the goats. We learned that these goats only had bottom teeth so their nibbles wouldn’t cause any damage. 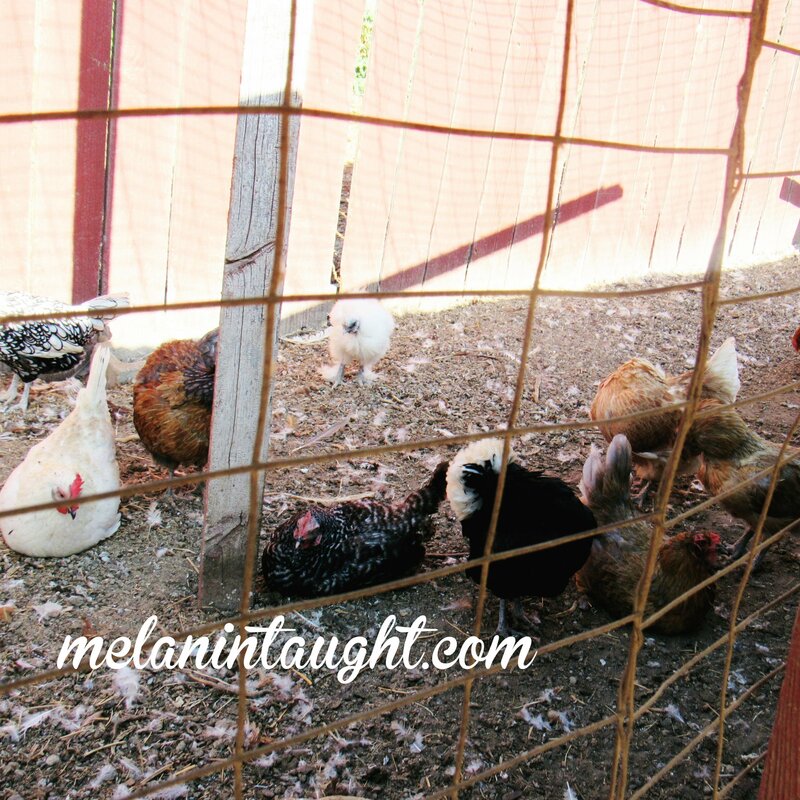 The chickens shook their tail feathers and the goats competed for the dino kale. 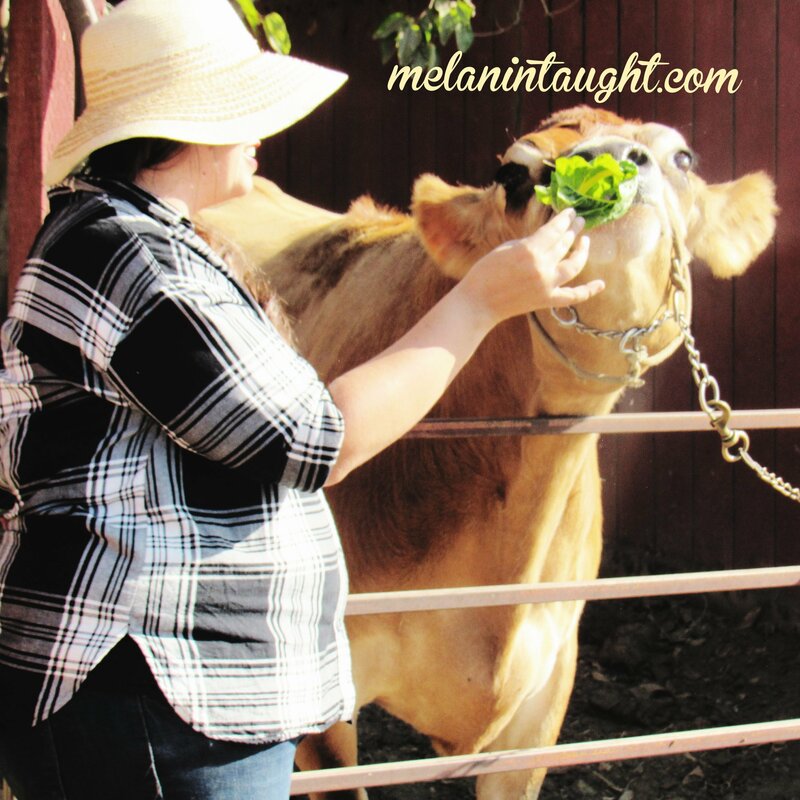 Then it was off to meet a Jersey Cow named Donut. She made 5 gallons of rich creamy milk a day. Then we were off the milk Martha. I don’t eat pork at all (or generally allow my family to due to environmental racism) but K loves bacon and since this farm offers organic, responsibly sourced meats, he splurged and got a few packs. This was a great outing for the kids! 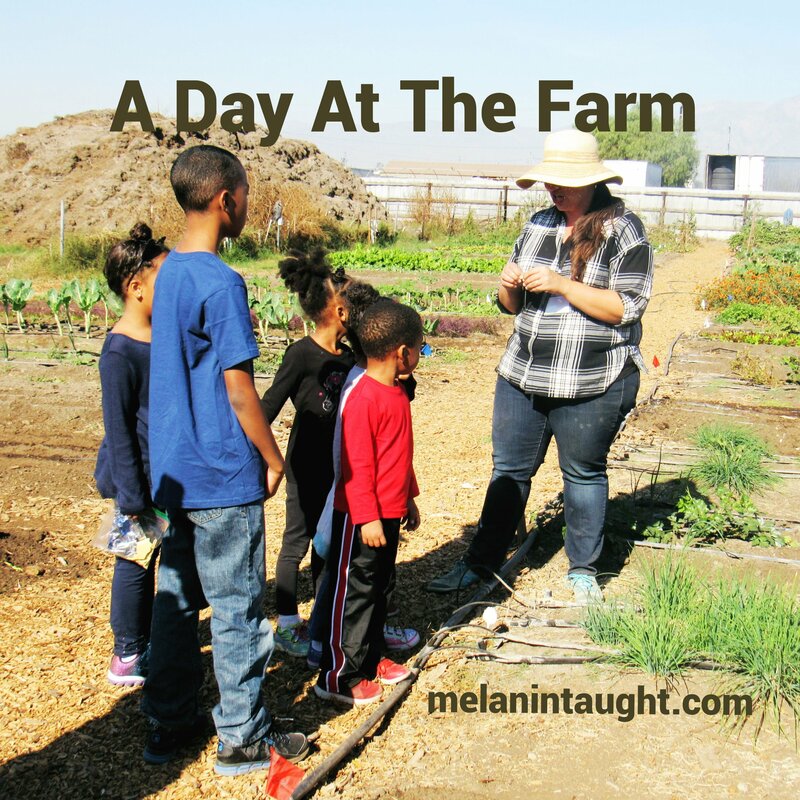 Amy’s farm is open to the public most days of the week and it’s free unless you are paying for a tour. If you are in SoCal and looking for something educational to do with the kids stop here and check it out. I would even splurge on the tour. Kids feel so much and have such a limited vocabulary. Teaching children Emotional Intelligence techniques allows them to better handle stress while helping you as a parent stress less. It may seem like a big task but once broken down it’s really easy. Make these tasks habits and you will see a big change in the way your child communicates with you. 1. Quiet time – Some days my kids are extra whiny. This is so annoying to me, they get whiny I get frustrated, they whine, I’m irritated it is a vicious cycle, and next thing you know we all need a time out. Taking time out in the morning for no reason at all works wonders. I have my kids pick a square and for 3 to 5 minutes we all sit and are still. Teaching children to pause is a very important thing in a society that values speed over quality. 2. How do you feel? This may be simple but many parents, especially of young children, don’t ask their kids how they feel. These conversations equip children with the proper vocabulary to express their feelings. For example, one can be frustrated but not angry, to children those lines may blur. Having these conversations also fosters empathy. Our vocabulary may determine if or even how our feelings have or can be changed. Equipping children with tools for effective communication makes them more confident and allows you to teach them how to appropriately manage their emotions. If you enjoyed this check out How to be an Emotionally Intelligent Parent. Also, be sure to pick up a copy of my book How to Lead With Emotional Intelligence for practical application of EI in your daily life. Have you heard of Emotional Intelligence? It’s a buzzword that has been going around the past few years. Heres the scoop. It basically means the ability to control one’s emotions and even the emotions of others. So the higher your Emotional Intelligence (EI or EQ) the better you are at keeping a grip on life. Pretty cool right! So here are some tips on how to use Emotional Intelligence to thrive as a parent. Be Aware: Wake up, feed kids, brush teeth, clean, school time, snack time, clean, homework, dinner, clean….repeat. If you are like me throw in some breastfeeding sessions, diaper changes, errands, phone calls and meds (for grandma). Wait! What about “me time”? Sometimes we can get so into the routine of the daily grind that we forget to check in with ourselves. It is so important to take out at least a few minutes alone to see how we are feeling and most importantly why? Be Real: When you don’t know how you feel its easy to speak with more or less force than may be required when communicating with your kids. Good news is you can always stop and ask yourself, “Is your response really the best response”? If not simply apologize. Our kids are learning how to adult by what they see us do more than what they hear us say. So take time to slow down and self-correct. Be Honest: Why do you feel the way you do? Is your child really doing something harmful or are they simply being a child? Are you frustrated, tired, or overworked? Ha! That last one is not a real question. Of course, you are! This means you may be acting out of your feelings rather than your child’s actions. I once heard it said that kids get in more trouble at the end of the day not because the kids are worse but because the parents are tired. Try to make it a habit to give more grace as the day goes on. Be A Kid: Take out some time to play. Seriously! Taking time to play with kids makes it easier to think like one. When you try to see the world through a child’s eyes you open up the door for grace. One of my favorite things to do is to have my kids take pictures with my camera. As I scroll through I am able to see things from their perspective and it really helps me appreciate their worldview. In fact, all but the first and last picture in this post were pictures taken by my kids. Even AR (18 mos) got in on the fun. Be Realistic: There is no such thing as a perfect kid, and there is no such thing as a perfect parent. However, in order for you to have the best relationship with your child you need to be able to look inside yourself and understand your behavior so you can better shape the behavior of your child. I hope this helps! Click here to find out How To Teach Your Kids Emotional Intelligence. You can also pick up a copy of my book How to Lead With Emotional Intelligence for practical ways to apply EI to your daily life. 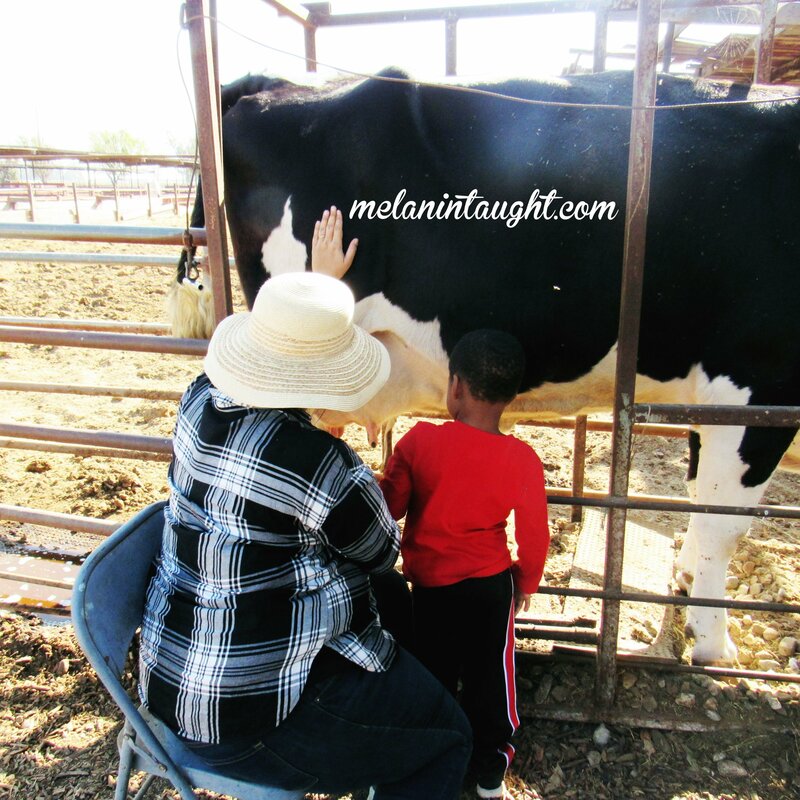 So you’ve decided to homeschool or you are at the very least considering it. Its easy to get so bombarded with curriculum ideas and homeschooling styles that you forget a few of the basics. Here are some things I feel you need to know. State laws – Different states have different laws in place. Some states are very hands off suggesting you send in a letter of intent to homeschool while others require more due process or they will mark your child as absent from their local public school. To avoid legal action find out what your state laws are concerning homeschooling and use your findings to decide which homeschool route is best for you. You can find out what your state requires here. We choose a state charter and explain our reasons here. Motive – Why are you choosing to teach your child at home. Religion? Content? Content delivery? Freedom to travel year around? Show business? What ever the reason keep it in mind. You will likely need to remind yourself at least once a year why you choose to embark on this wonderful journey. This will also help determine which homeschool style or styles will help your family reach their goals. What’s the deal with socialization – I think every homeschooling parent has been asked this questions at least once, “What about socialization?” If I am in a chatty mood I will ask, “What about it?” Then listen as they find a way to politely ask, “Aren’t you worried your kid will be weird?” The worry is that the homeschooled kid will grow up without friends and become the awkward co-worker that doesn’t know how to make small talk around the water cooler. Rest assured I don’t intend for my child to grow up and go work for someone else. My hope is that by raising my children outside the system they will be able to imagine and freely create innovative ideas that will allow them to provide jobs not work them. We are in such a interconnected society it is easy to put kids into extracurricular activities, take them on field trips or even travel the world. 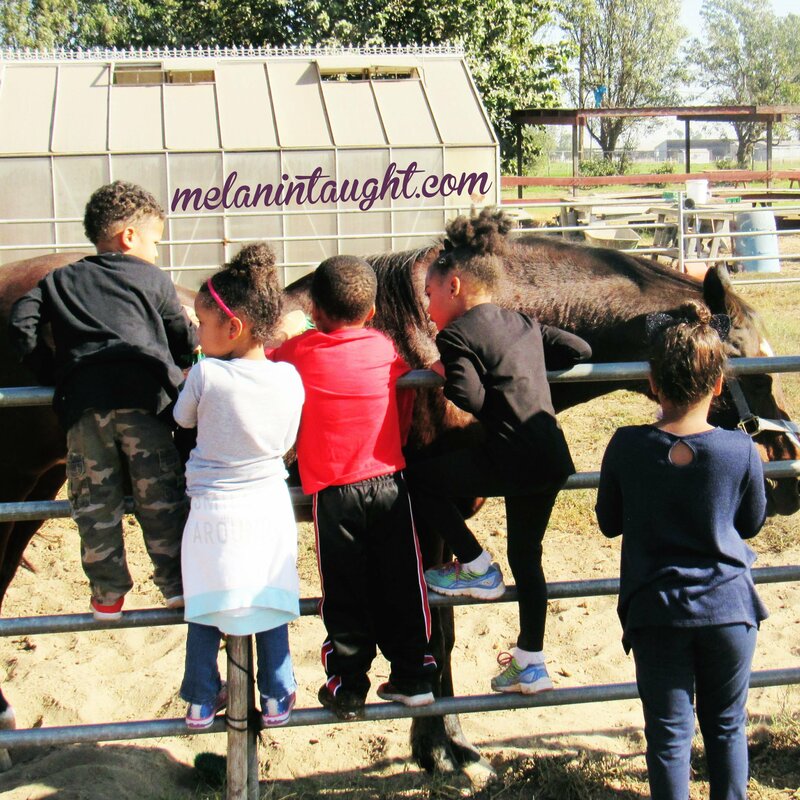 My objective is to equip my children to live their best life. Having friends and being a friend is on the list of things to make that happen but it is not the top of the list. Curriculum – This is tricky because in my opinion it depends on the age you start. The younger your child is the less curriculum they NEED so take that time to explore what works for you. When you find one you like use it until you outgrow it. For math I use Horizons workbooks, for English I use a personalized curriculum from a friend, and for social studies, geography and science we wing it. I do use common core standards as a guide for creating content though. DO NOT SPEND A LOT ON CURRICULUM. There are so many buy/sell/trade groups online that allow you to purchase used curriculum so you can see if you like the program your interested in. Time – If you take out recess, lunch break, distractions from other kids, traveling to and from classrooms the average child spends less than 4 hours a day actually receiving education instruction. Keep this in mind when structuring your day. You are not teaching a group of 20 (unless of course you are) so you do not need to structure your day as such. Last year we had a clear schedule you can see it here. This year we have an order but some days are shorter and some days are longer. Just the other day SJ finished school a whole hour early! We were both surprised and proud. She simply went through all her assignments for the day and was able to go play after. There is no rule that says all four hours (or less) of instruction have to be done at once. You can break it up based on your schedule. Do you both work best when you sleep in? Great! School starts at noon! Are you night owl? Start school after dinner. You can even do math at sunrise and English at dusk. Explore and see what works best for you there is no hard fast rule. Homeschooling is awesome! Its freeing in that my children are able to learn in an environment tailored to their needs by a teacher who is personally invested in their growth, me! Please comment below with any questions you may have. I hope you take the plunge!